Sculpture and installation artist to create new work for solo show at the 57th International Art Biennale. 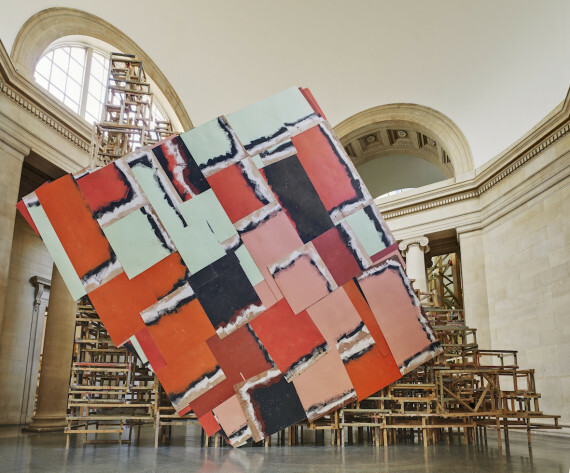 The British Council has announced that Phyllida Barlow will represent Britain at the 2017 Venice Biennale. 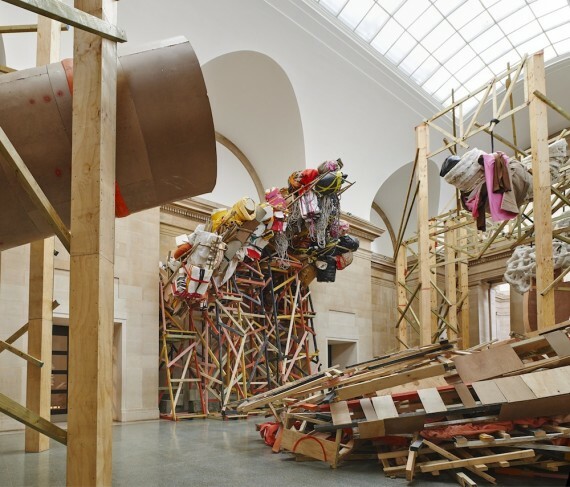 The Newcastle-born artist is renowned for her large-scale installations, with recent solo shows including the Duveen Commission at Tate Britain (2014), GIG at Hauser & Wirth Somerset (2014), and set at the Fruitmarket, Edinburgh (2015). In 2011 she also became a Royal Academician. Commenting on her selection, Barlow said: “I am astonished, thrilled and of course hugely excited. It is going to be a remarkable experience to begin to consider the work for the imposing architecture of the British pavilion. 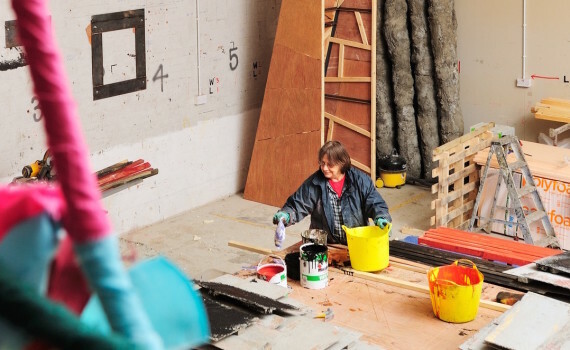 Barlow often uses inexpensive materials such as plywood, cardboard, plaster, cement, fabric and paint to create her work, confronting the relationship between objects and the space that surrounds them. Her appointment was made by the 2017 Venice Biennale Selection Committee: Maria Balshaw (director, Whitworth Art Gallery, Manchester), Alfredo Cramerotti (director, MOSTYN, Llandudno, Wales), Jennifer Higgie (editor, Frieze Magazine), Skinder Hundal (chief executive, New Art Exchange, Nottingham), Sarah McCrory (director, Glasgow International, Glasgow, Scotland), Helen Legg (director, Spike Island, Bristol), Matt Packer (director, Centre for Contemporary Art, Derry, Northern Ireland), and Alistair Sooke (art critic and columnist, The Daily Telegraph and BBC). Emma Dexter, British Council’s director of visual arts and the committee’s chair, said: “Barlow’s work combines physical impressiveness with intricate and highly considered details with regard to materials and techniques, allowing questions of making and experimentation to be at the core of her work. Previous artists to represent Britain at the Venice Biennale include Mark Wallinger, Gilbert & George, Tracey Emin, Steve McQueen, Mike Nelson, Jeremy Deller and, most recently in 2015, Sarah Lucas.